Did you ever know what Charles Dickens ate? Or how Frances Hodgson Burnett dressed? This is a good book that enables you to find out. Lives of the Writers is not merely a collection of short biographies of different authors-it is a very interesting and absorbing book as well, written by Kathleen Krull. Seriously, I couldn’t put it down. Some of its stories include the lives of the Brontë sisters, Hans Christian Anderson, and E.B. White. It has a lot of cool facts, like did you know the Brontës made up a whole different world called Glass Town? There’s that and more. I actually convinced a friend to read it, and when she returned the copy to me, she said that she’d expected it to be boring, but it was really awesome. Are you convinced yet? This would be an excellent gift for any young (or adult) reader so that they can learn more about their favorites. So get in your car, and go to the nearest good bookstore or library. I don’t care which one. P.S. If you enjoyed this, you might also enjoy Kathleen Krull’s other books in the series, such as Lives of the Artists. Written by Wendy Mass, The Candymakers is a truly delectable read, with interesting and mysterious characters and a unique plot. A number of children across the nation have written essays on one thing: Candy. And 32 children’s essays have stood out and paved the road to the chance of being professional candymakers. They are given three days to attempt to create a brand-new, original treat which will be presented to three judges. Logan has the pressure. He’s the son of the owner of the Life is Sweet candy factory. He’ll be expected to come up with something wonderful. Daisy has the cheeriness. Or is there something else beneath the neon-yellow sundress? Miles…well, he’s a little strange. I mean, what kid is allergic to the color pink and rowboats? And Phillip is the suit-wearing, insulting, annoying kid who owns a mysterious notebook. Quite the crowd, eh? Throughout the course of the story, new things are brought to light and amazing discoveries are made. Boys, girls, even adults would enjoy this book. Go get it from your library now! This book, written by Nancy Levinson, was the frst chapter book I read as a little girl. Therefore, I read it many times over. Meaning, at least thirty. It’s a good read for any starting reader. 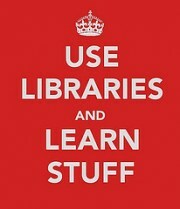 Especially if they already enjoy books a lot. Clara spends her time on her family’s farm in Maryland doing chores and looking after her little siblings. No time for reading. Papa says that farm people don’t read. Clara doesn’t agree, especially when opportunity comes knocking in the form of Miss Mary and her bookwagon, which is specifically for farm people. Clara’s enraptured! Books, books, and more books! What could be better? Clara’s exactly like me. I feel a sort of hunger when I see tons of books all in one place. If your child is having trouble growing enthused with literature, believe me, this could be a colossal help. So look it up on Powell’s, or something. Seriously. Laurel Snyder is fast becoming one of my favorite authors. (Don’t worry, Gail Carson Levine, you still rock!) In her newest book, the author has created another lovable and real character. Penelope Grey. Most people would probably give just about anything to have her life. But Penelope wouldn’t. She’d give anything to have something interesting happen! And (after a little wish) she gets it. Her dad quits his job. WHAT??!! Things do change, and they’re interesting. If you can manage to get past her father’s listlessness, her mother’s depression, and the fact that money is dwindling, sure. But Penelope can’t. Then, all of a sudden, the Greys up and move to the country, a place called Thrush Junction. And things change again. For the better. Penelope gives herself a new name, meets new and awesome friends, and even her parents are happier. Until something happens to spoil it all. Hmmm, sound familiar? I thought so. Laurel Snyder uses absorbing language, and the characters are original and amazing. The cute, occasional illustrations add to the fun. Let’s go, Laurel! P.S. By the way, she’s got a new book coming out later this year! Author Sharon Creech delivers a book of most original poetry, in a most original form. Jack doesn’t like poems. So how can he write them? His teacher really expects him to write them? C’mon. But over the course of the year, and as Jack encounters different types of poems, he starts to yield to the words. And the reader will gradually become acquainted with his dog. That yellow dog. Gosh, he loved that dog. When Jack reads a poem by Walter Dean Myers, titled Love That Boy, he starts to open up about that dog, Sky. Sky’s not there anymore. But Jack doesn’t forget about him. This book was very unusual and touched my heart. As a plus, I am wild about dogs. I recommend this book for people who don’t even like poetry, because it will change your mind. And watch out for the sequel, Hate That Cat.